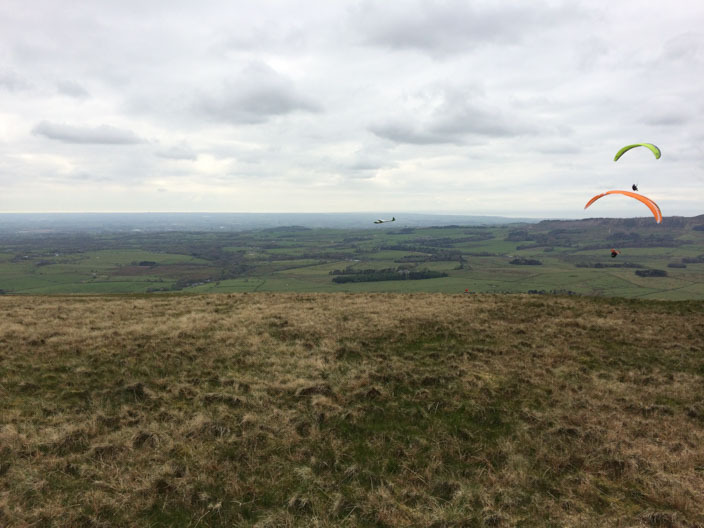 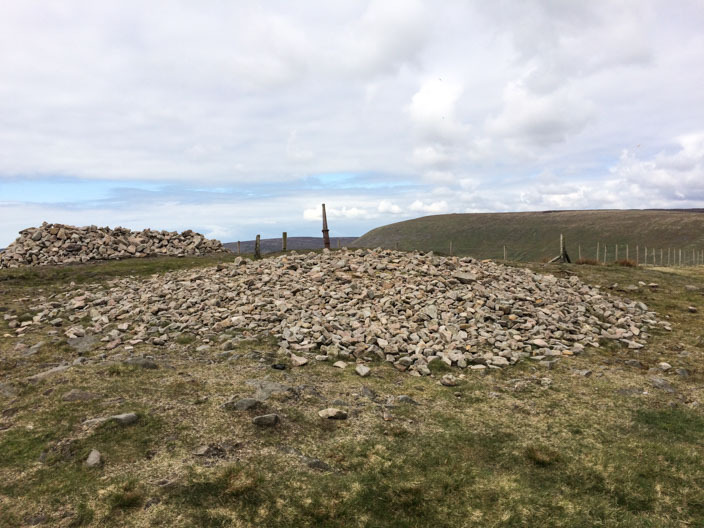 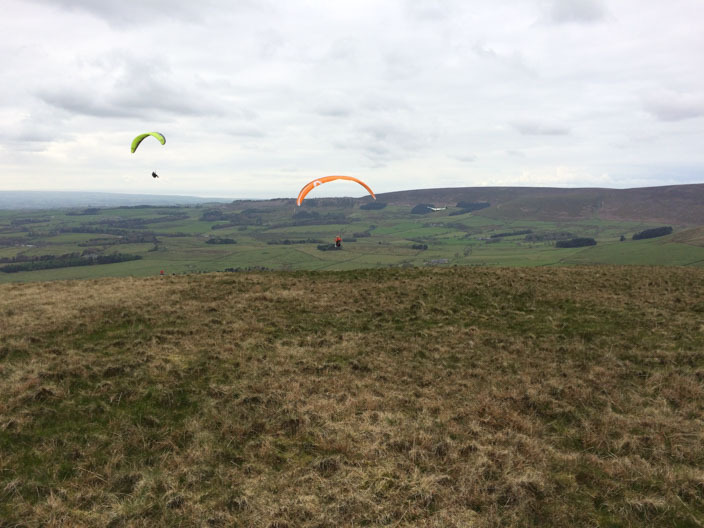 Comments: Quite a lot of activity on Parlick today with hang gliders taking off from Nick's Chair and gliders swooping silently (almost) through the skies. 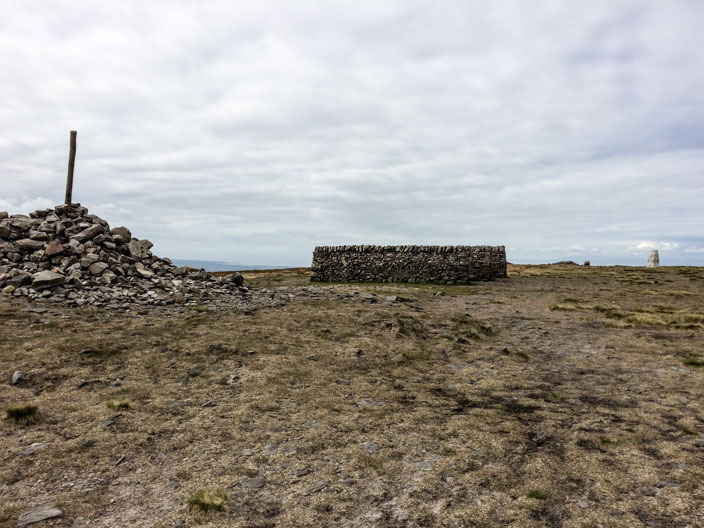 On the return from Fair Snape Fell I explored a path on the eastern flanks of Parlick so that I could climb it again from the side - though not from the bottom this time. 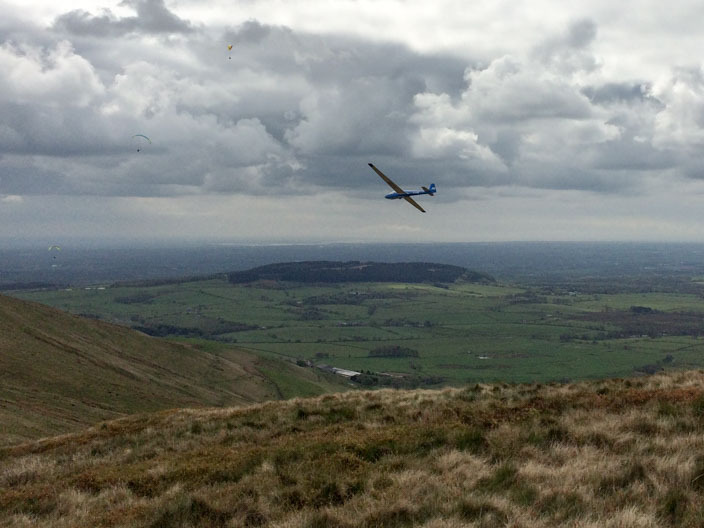 A glider swoops . 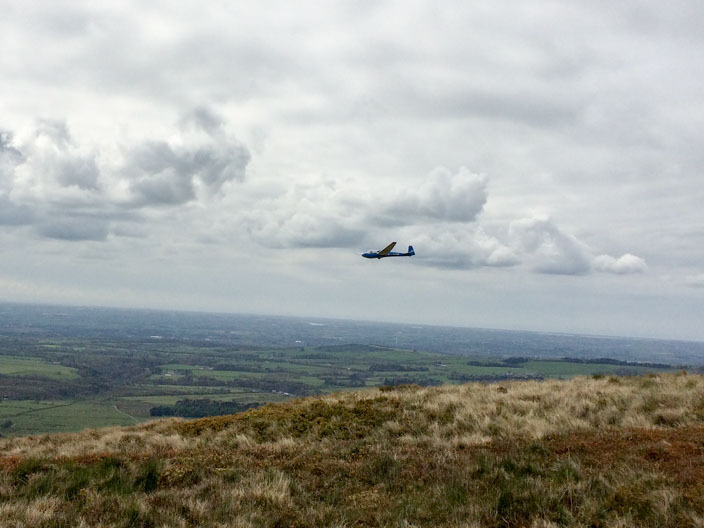 . .
Look carefully to the right of the orange canopy to find the glider . 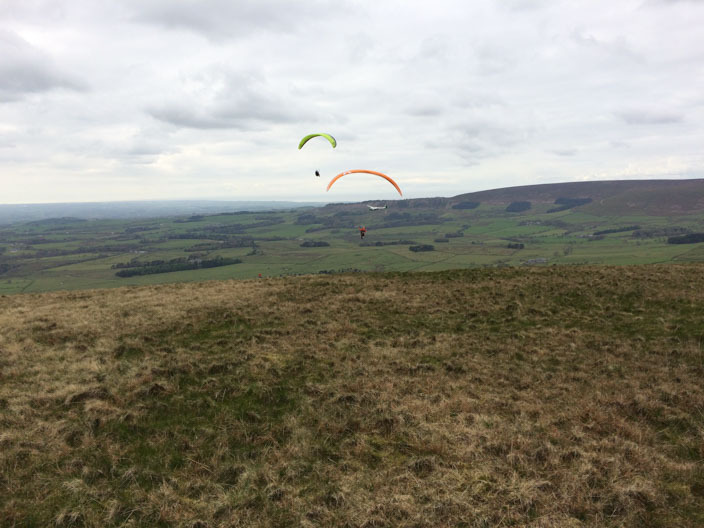 . .
which passes between the two hang gliders . . .